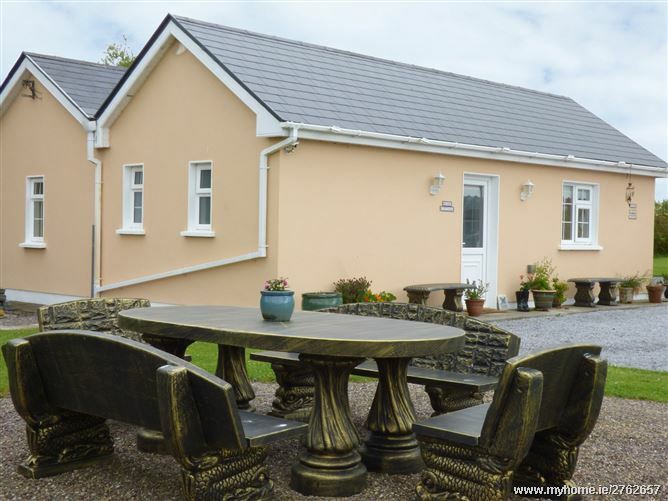 Ruah Cottage is a detached cottage situated next to the owner's home, four miles from the town of Listowel, County Kerry. This single-storey cottage sleeps four people and has a family room with two double beds and a sitting area. The cottage also has a kitchen with dining area and a wet room. Outside there is shared off road parking for two cars and a shared garden with furniture. Ruah Cottage is an ideal base for a couple with many places to see in the area, including the Ring of Kerry, golf at Ballybunion and the Cliffs of Moher. The market town of Listowel is situated next to the River Feale in County Kerry. Annual festivals take place in the town, and there are also shops, pubs, racecourse, golf and a castle to keep everyone entertained. Other places of interest in the area include sandy beaches, the Ring of Kerry and the Dingle Peninsula. Oil central heating with solar panels for hot water. Electric oven and hob, microwave, fridge, freezer, washing machine, dishwasher, TV with Saorview, DVD, WiFi, selection of books. Fuel and power inc. in rent. Bed linen and towels inc. in rent. Shared off road parking for 2 cars. Shared, front lawned garden, plus shared, rear patio with furniture. Sorry, no pets and no smoking. Shop and pub 4 miles. Note: Although all ground floor, not suitable for wheelchair users due to gravel surrounding property..